Start and stay on saving in an affordable and accessible manner. 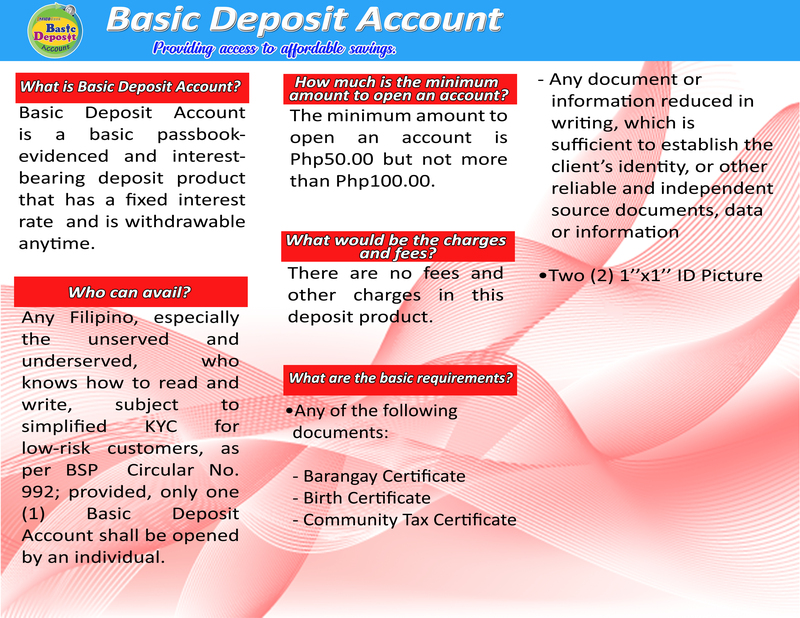 The Basic Deposit Account of FICOBank, with liberalized customer-onboarding procedures, provides every unserved and underserved person the opportunity to save for whatever worthwhile purposes. Can be deposited or withdrawn over the counter anytime during banking hours.